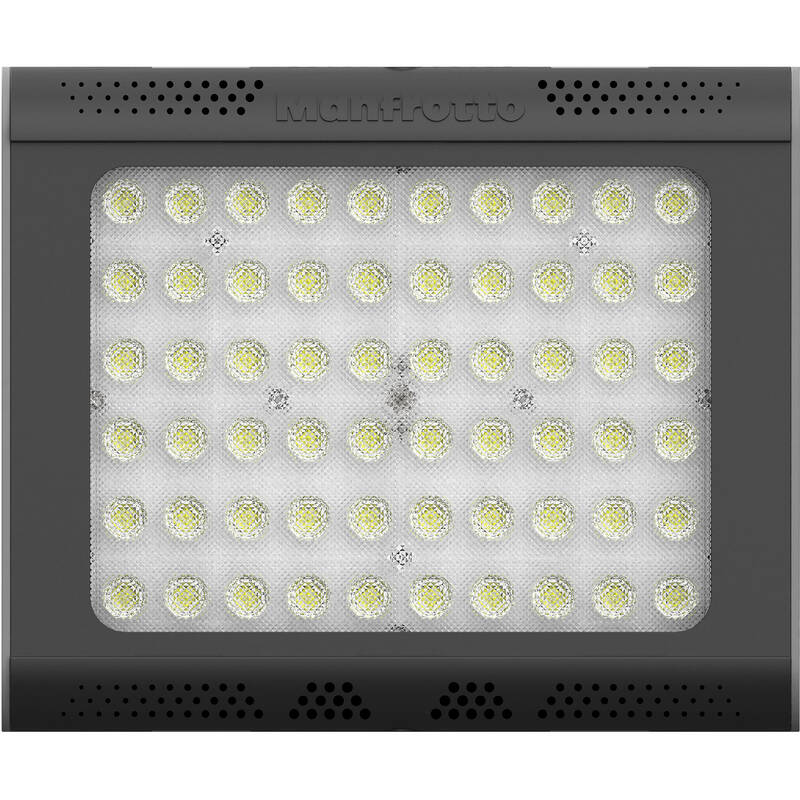 The LYKOS 2.0 Bi-Color On-Camera LED Light from Manfrotto has received many updates since its LYKOS predecessor to provide a bright, compact, on-board light with a dual built-in battery mount and integrated Bluetooth technology, as well as the ability to create a lighting grid with multiple LYKOS 2.0 lights. The light is also water-resistant, so it can keep splashes and moisture out. The color temperature is adjustable from 3000K tungsten to 5600K daylight, which allows you to match the light in varying environments. Brightness is adjustable in a continuous mode by a 100-0% dimmer. Color and brightness adjustments can be made on the unit or remotely via an iOS or Android app using the built-in Bluetooth connection and the Manfrotto LED App. There's also an LCD display on the rear that provides info on the color temperature, brightness, battery status, and more. The light features eight cold shoes around the light as well as six shoe adapters. In addition to being able to mount the light and accessories in the shoe mounts, the six shoe adapters allow you to attach more LYKOS 2.0 lights together to create a lighting grid of up to four lights. Three 1/4"-20 mounting threads are also available for mounting arms, handles, microphones, or other accessories. The light features a built-in dual L-series/LP-E6 battery mount on the rear. You can use two of one type or one of each to power the light. A diffusion gel is also supplied, and you can also attach an optional LYKOS LED Softbox to achieve more effective diffusion.